LG Announces Three New Smartphones! LG has announced the newest additions to its smartphone lineup. 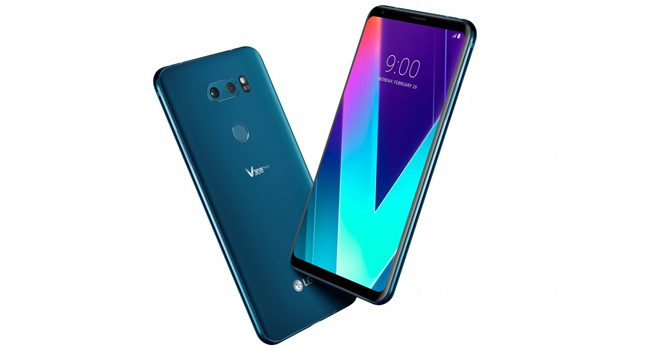 The collection includes the flagship V30S ThinQ with advanced AI features, and the mass-tier K8 and K10 Series. "Many companies talk about AI but we're already delivering on our promise by integrating intelligent technology in the LG V30S ThinQ to features most commonly used by our customers for a whole new level of convenience never before available in a smartphone of this caliber," said Hwang Jeong-hwan, president of LG Mobile Communications Company. "And we will continue to introduce new AI capabilities to enhance usability and to demonstrate to our customers that we are committed to delivering a great user experience that continues long after the purchase of an LG phone." The V30S ThinQ features a 6.0-inch 18:9 QuadHD+ OLED FullVision Display with a resolution of 2880 x 1440 and 538ppi. In addition, the display also supports HDR10 playback. Under the hood, the device is powered by a Qualcomm Snapdragon 835 Mobile Platform CPU, 6GB RAM, and a 3300mAh battery running Android 8.0. A Rear Dual 16MP Standard Angle (F1.6 / 71°) / 13MP Wide Angle (F1.9 / 120°) camera and a Front 5MP Wide Angle (F2.2 / 90°) camera are included as well. Also of note, are several new AI features including Vision AI for smarter camera performance and Voice AI for enhanced support for spoken commands. Vision AI includes AI CAM which recommends the best shooting mode based on an analysis of the image being captured; QLens for scanning QR codes, image searches, and accessing more info about landmarks; and Bright Mode which can brighten images taken in low light by a factor of two without noise through special algorithms. Meanwhile, the Voice AI works in conjunction with Google Assistant to enable voice control for running apps and changing settings. 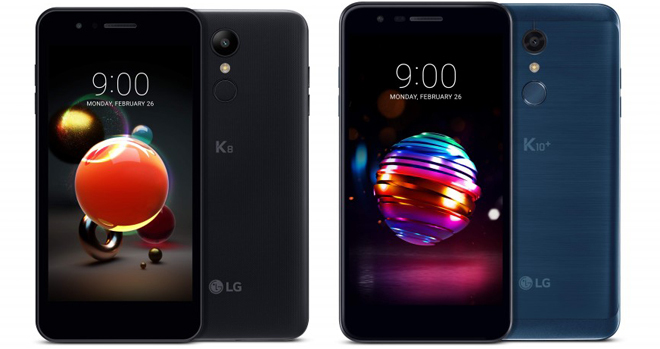 And when it comes to mass-market models, LG has also detailed the 2018 K8 and K10 (K10, K10+, K10α) series smartphones. The K10 Series features a 5.3-inch HD In-cell Touch display with a resolution of 1280 x 720 and 277ppi. Under the hood, the phone is powered by a 1.5 GHz Octa-Core CPU. Meanwhile, the K8 Series features a 5.0-inch HD On-cell Touch display with a resolution of 1280 x 720 and 294ppi. Under the hood, the device uses a 1.3 GHz Quad-Core CPU. In addition, both series offer several advanced camera options, including a new Low Light Noise Reduction feature; HDR photo capture; a Timer Helper that uses the flash to visually countdown the shutter timer; and a Flash Jump Shot mode that can take a photo every three seconds (up to 20 photos) and then combine them all into a GIF. "LG's 2018 K Series range of smartphones is focused on delivering even more value to consumers looking for the right device that fits their lifestyle and needs," said Ha Jeung-uk, senior vice president and business unit leader for LG Electronics Mobile Communications Company. "We're confident we can capture the hearts and minds of consumers in the fast-moving market with our smartphone camera technology and other convenient features."